Whisk or blend together the almond milk, sugar and peanut butter. 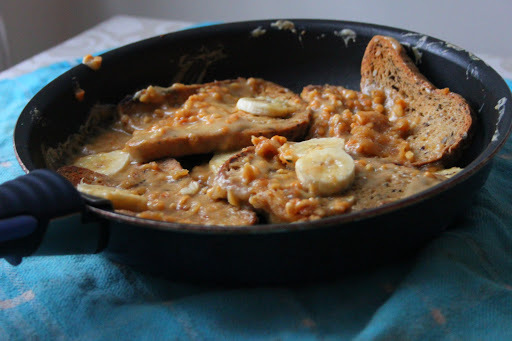 Pour into a shallow dish or plate so you can soak the bread slices in the peanut butter milk. You want to soak them on each side for at least 3 minutes. Heat a little bit of oil in a large frying pan. Fry the soaked bread slices until lightly browned, then flip and fry again for a few minutes till evenly browned. 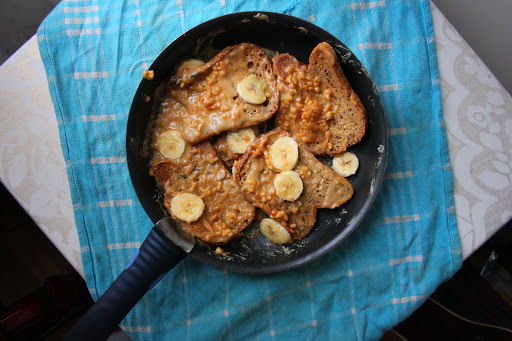 You can fry the banana slices at the same time, or serve them raw with the PB eggy bread. 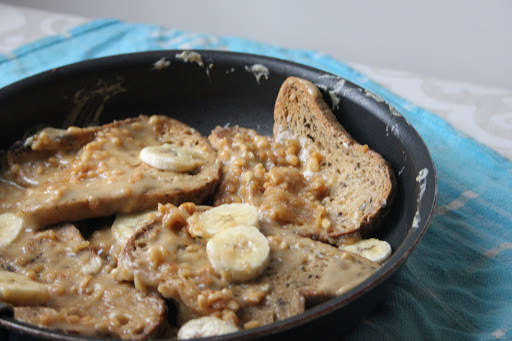 Pour the remainder of the PB milky mixture over the bread and top with banana slices.